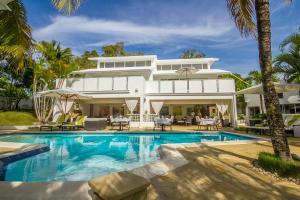 ﻿ Best Price on Casa Veintiuno in Cabarete + Reviews! Casa Veintiuno is a boutique B&B located just a 5-minute walk from the beach in Sosua. 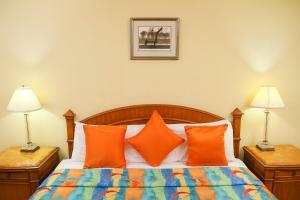 It offers an outdoor pool, a restaurant and stylish air-conditioned rooms with free WiFi. Each stylish room at Casa Veintiuno will provide you with a flat-screen TV and DVD player, an iPod dock, a mini-bar and an espresso machine. The private bathrooms come with a hairdryer and bathrobes. 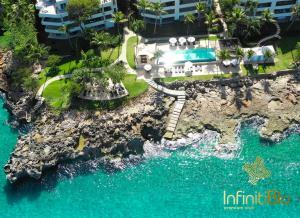 At Casa Veintiuno you will find a fitness center, a games room and a shared lounge. The property offers free parking and information about the surrounding area. 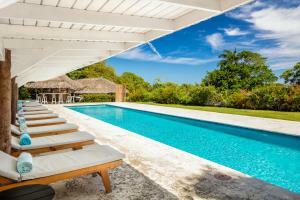 Casa Veintiuno is within a 5-minute walk of restaurants and bars in Sosua town. Gregorio Luperon International Airport is just a 10-minute drive away. Please note that the owners have 3 friendly dogs which live on site. Payment is also possible by PayPal or bank wire transfer. Please contact the property in advance for more information using the contact details provided on yourbooking confirmation. Unregistered guests are not allowed on the property. Payment before arrival by bank transfer is required. The property will contact you after you book to provide instructions. Please inform Casa Veintiuno of your expected arrival time in advance. You can use the Special Requests box when booking, or contact the property directly using the contact details in your confirmation. Guests are required to show a photo ID and credit card upon check-in. Please note that all Special Requests are subject to availability and additional charges may apply.